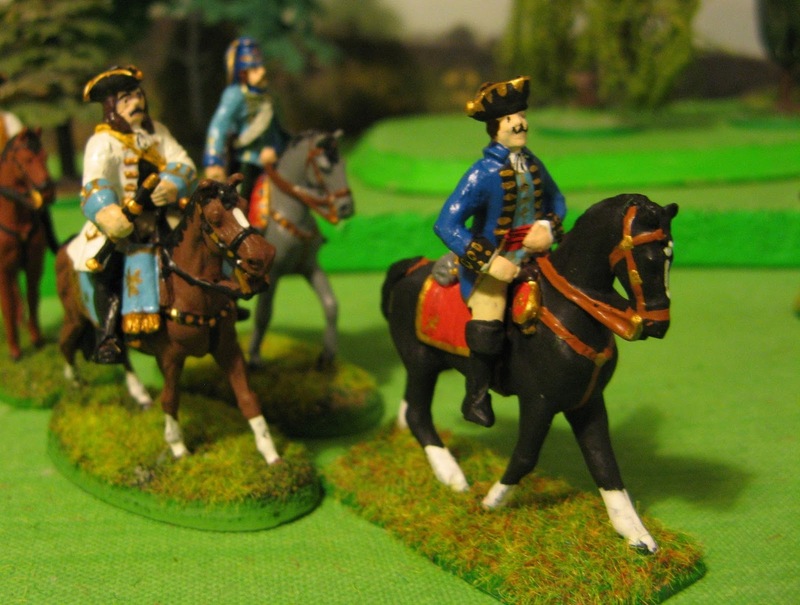 [Count Pottsendorf - has had his right arm repositioned to hold a commanders baton, a new head and new uniform. 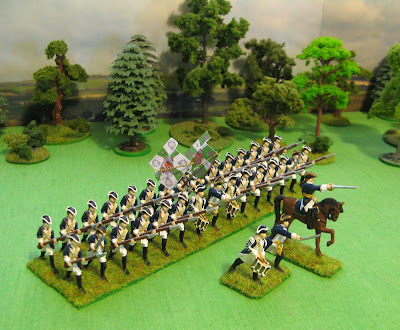 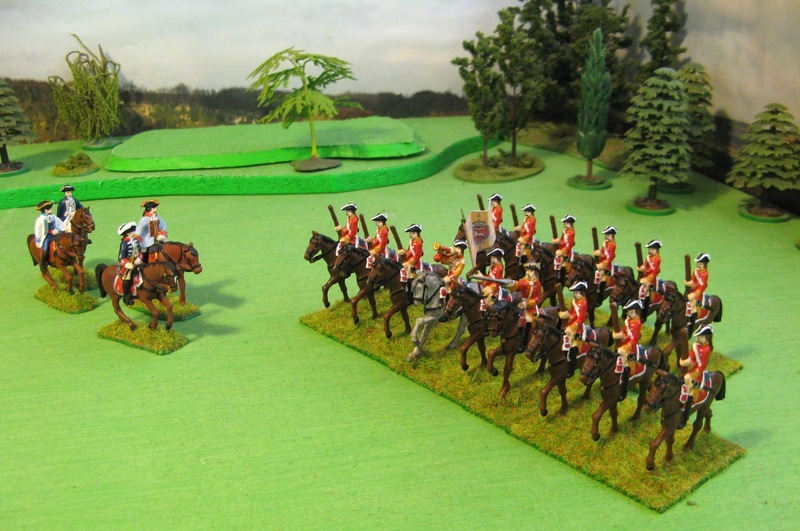 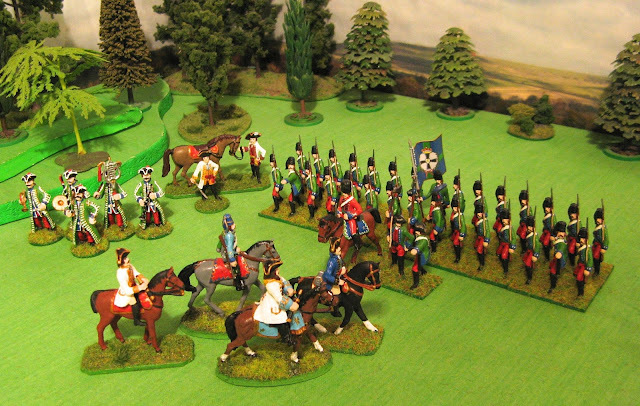 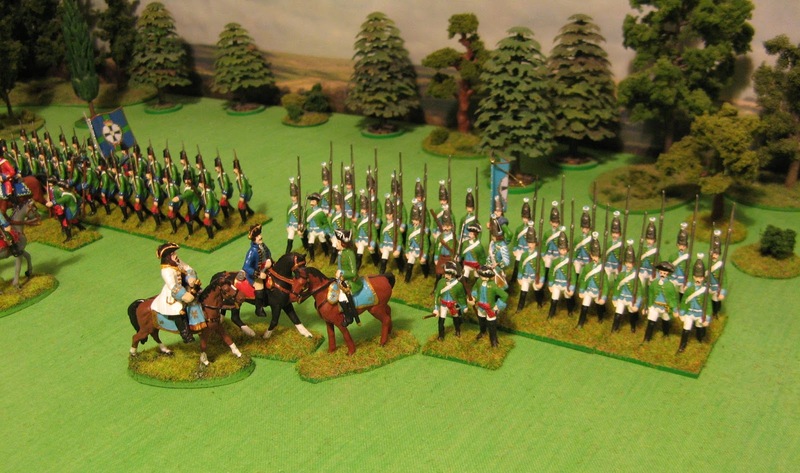 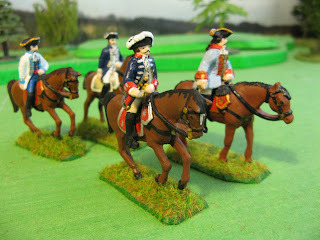 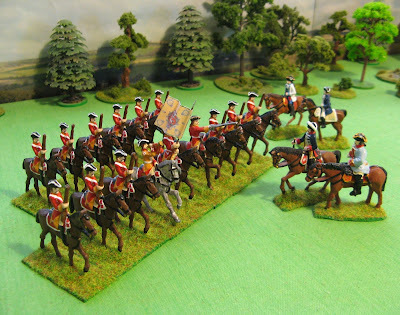 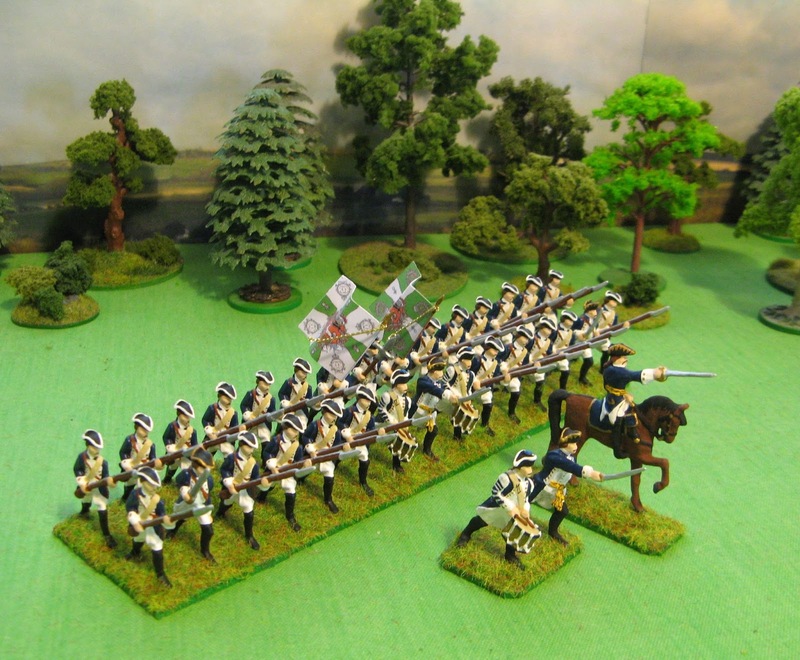 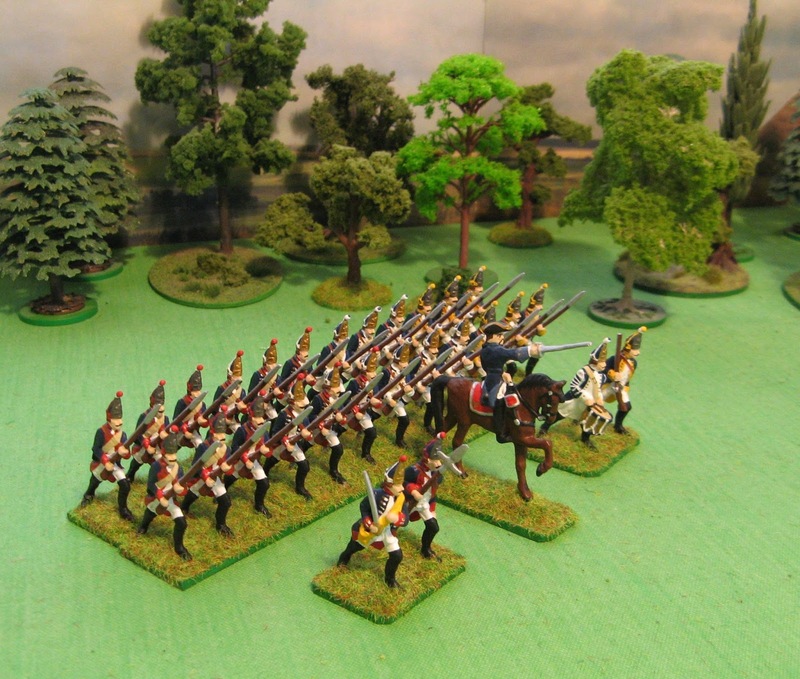 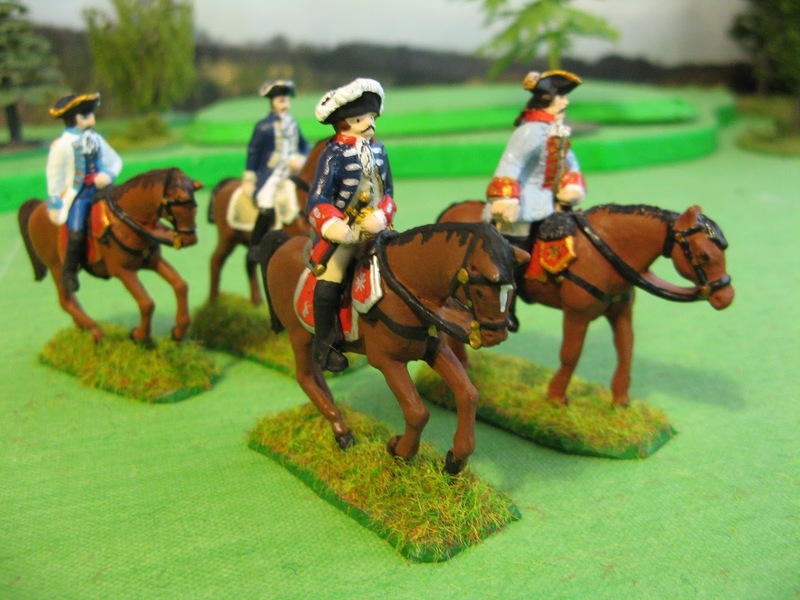 The dragoon regiment - repainted with uniform in the style of the Brunswick dragoons from early 7YW]. To finish off I did the minimum painting, although one had the lower stonework brought out by dry brushing with medium brown colour; here they are placed on some Metcalfe cobbled sheet. 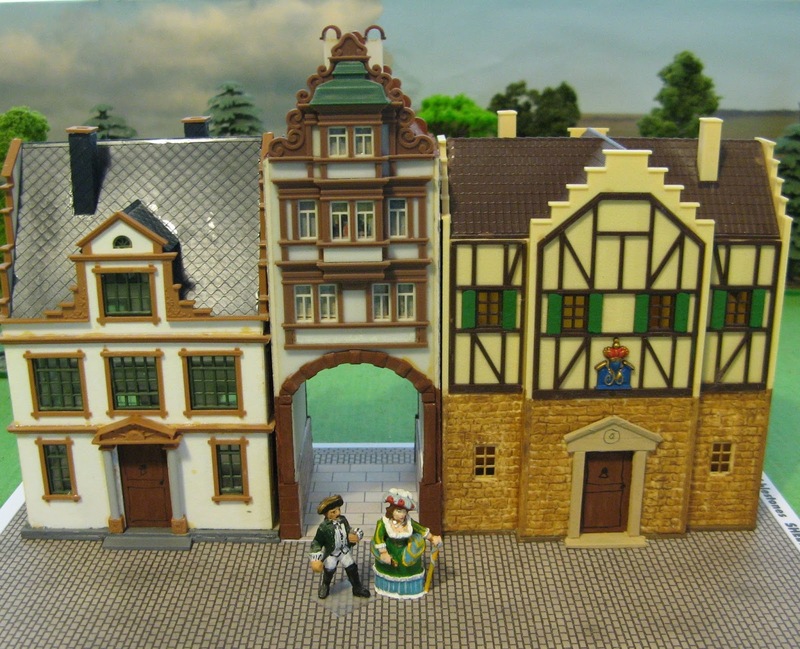 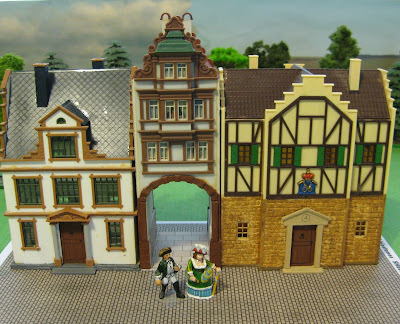 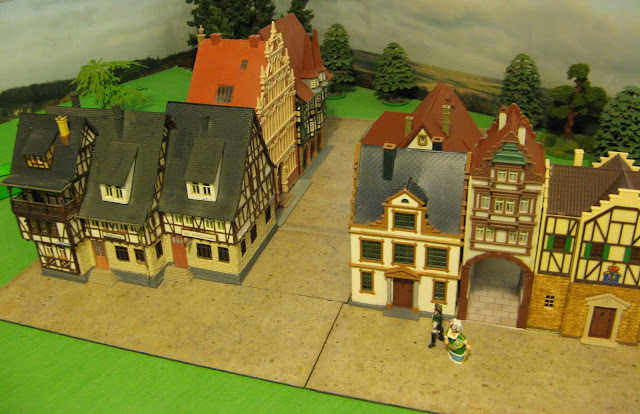 The enhanced buildings used with some others to start the build-up of a little bit of a 'street scape' ..